Anna has a problem. Her teacher has written the names of all the children in her class on the blackboard. It is now Friday, and Anna has to come up with something about which she has to give a show on Monday. Only then will their name be rubbed off the board. All her classmates are very excited about it, and chatter away after school about what they will be doing. But not Anna. For Anna is not very good at any of the things that are being discussed. She can neither sing nor dance. Nor can she tell a story very well or do a magic show. In fact, she doesn't think she can do anything at all. She will be the only child whose name will not be safely rubbed off the board. What then? Won't everyone laugh at her? Anna is very upset over the weekend. Try as she might, she cannot think of anything. Why would anyone be interested in anything that she does on the show? Anna's brother and Mum keep telling her that she is very special, very smart. And that she can certainly do something special. But Anna is not so sure, and is very very angry with herself and with everyone, and keeps crying all weekend. She just feels that she is not good enough. So what happens then? Does Anna find that she is indeed special? Does she find what she can do? Does she get her name rubbed off the board? Read the book to find out. This book was an instant hit with A, who could very well identify with Anna, with her self-doubts, and bouts of anger when she feels as if she will not be able to do something that she has to do. We were smiling at the talk between Anna and her Mum, which we found very familiar. Anne Fine, a multiple award winner in the field of children's books is the writer of the very popular book 'Mrs Doubtfire', and she writes for children of all ages, upto the level of young adults. 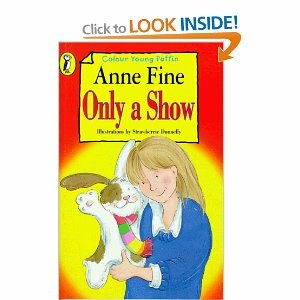 After we read this book some time back, A is in a 'find books by Anne Fine at the library' phase. And we have found some wonderful stuff. Saw this one in the library, next time will pick it up. Sounds familiar as we also go thro' this kind of routine with M.
Sounds very nice Sandhya! Anna seems very next-door-girly and am sure most kids can relate to her (and moms to her mom:). You've left me dying to know what she did? Is the cover giving it away (is it what I'm thinking it is:)??? Something most kids (and grown-ups too possibly) can identify with at some point or the other. Awesome pick S, as usual. And yes, what happens at the end?! Oh and the 5 year old recently read ‘Design a Pram’ by Anne Fine. Nice! 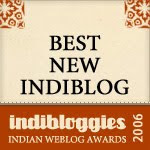 Vibha, Meera, Chox, yes, the scenario is very familiar, and it is an issue with which we have had to battle many times. So the book was a nice way of relating to it in a way that goes down well with A.
P enjoyed this one. He read it while he waited for me at the dentist's and told me the story on the way back. Knew he would identify with her, I guess I do too - I remember desperately trying to think of jokes, and telling myself to be prepared next time, only to forget!